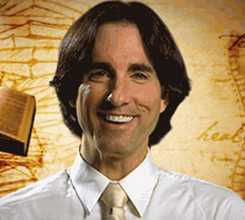 Dr. John Fredrick Demartini, is an American researcher, best selling author, international educator, public speaker in human behavior and former chiropractor. He founded the Demartini Institute and has trademarked certain methodologies in human development, the primary two being the Demartini Method and the Demartini Value Determination Process. We discussed how you can discover your genius, the importance of clarifying your values hierarchy, and how to unleash your vitality. We also discussed his signature seminar The Breakthrough Experience who helps people overcome limiting beliefs, achieve greatness, and so much more. In addition, we discussed building wealth and why so few attain it. Also, we discussed the importance of leverage in building wealth and common traits of millionaires and billionaires. We also talked about the Demartini Method, which is a process that helps people break through personal and business obstacles, and helps them let go of negative limiting beliefs and behaviors.